The Pizza Box everyone WANTS! 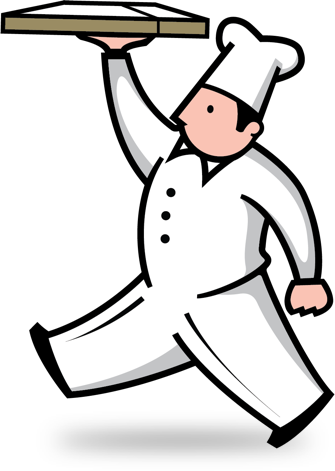 Learn how to get the BestPizzaBox NOW! Easily convert this pizza box into two pieces. 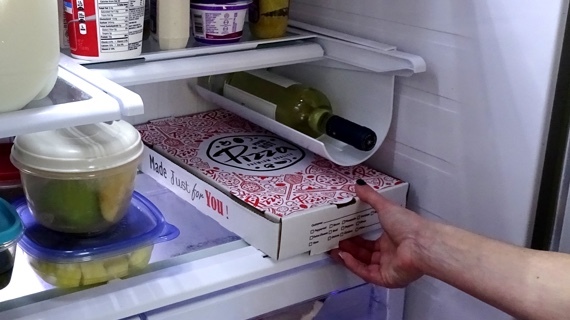 Now you can easily store up to half a pizza in your fridge. 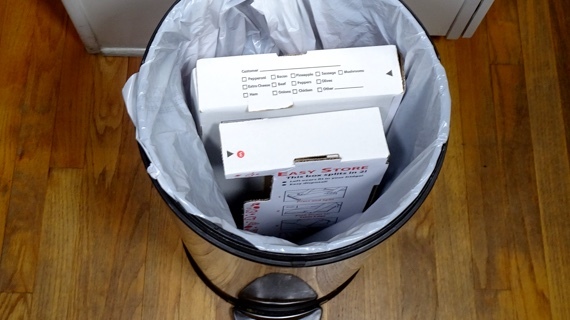 Fits either half or a full pizza box in a kitchen trash bin. 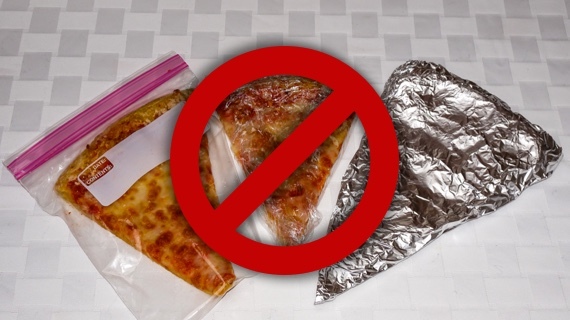 No need to repackage leftovers with foil, plastic wrap, or baggies. 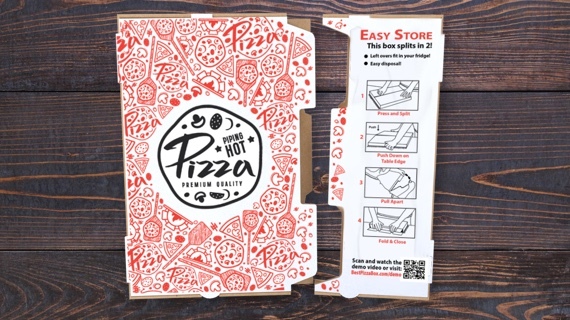 Copyright © 2019 Best Pizza Box / zaBOX – All Rights Reserved.